Availability: In Stock., 26 Available. Jago and Litefoot embark on a cruise. It's supposed to be a relaxing break, but what terrors lurk in the mysterious fog? And what about the other ships that seem trapped along with the Fata Morgana - are they friend or foe? Or something much more frightening? Arriving at Monte Carlo, Jago is keen to try his luck at the famous casino. But if he's not careful he could lose a lot more than just money. 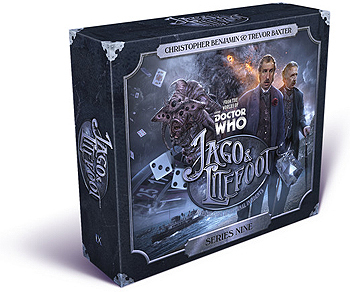 While Litefoot makes a new friend, Jago and ship's purser Aubrey find themselves playing for high stakes at the Clandestine Dark Casino. Arriving at a beautiful island, Jago and Litefoot discover evidence of a missing expedition. Can they discover what happened to the ship's crew - before it happens to them? And will they be able to avoid the amorous advances of the formidable Lady Danvers? There is a murderer loose aboard the ship. 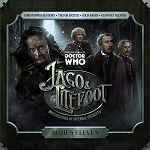 If Jago and Litefoot can solve the mystery of the strange fog and return to London, will that make matters better, or far worse? The answers lie deep in the past, and they soon learn that not everyone is who - or what - they might seem.